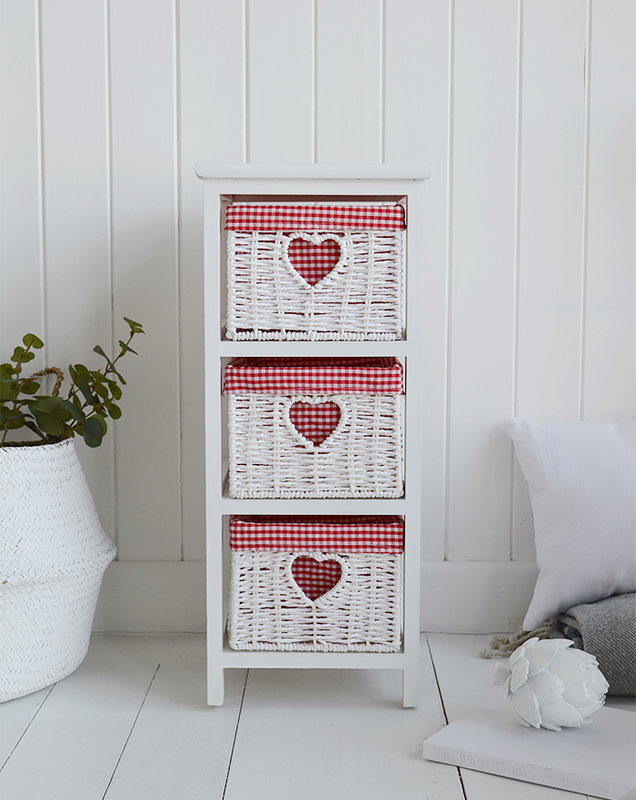 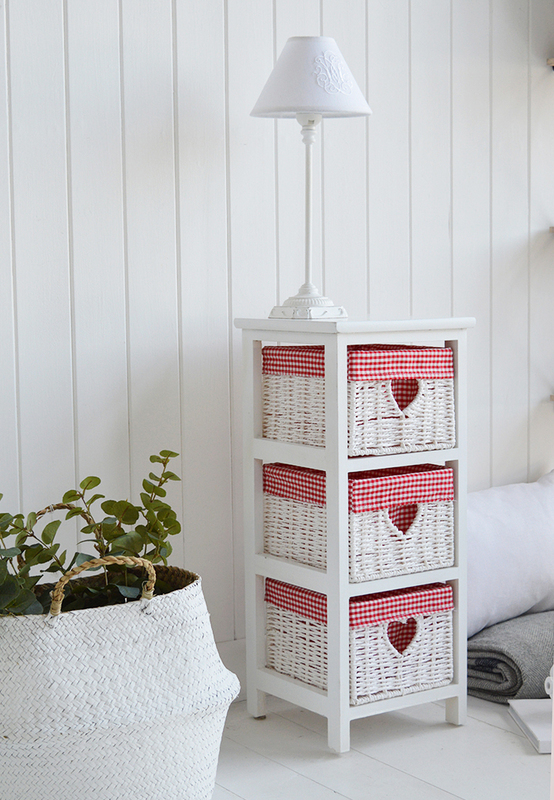 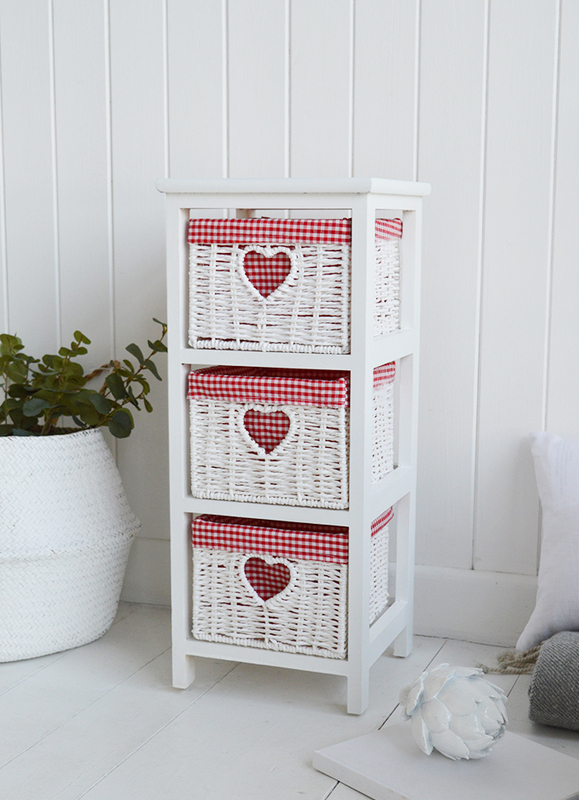 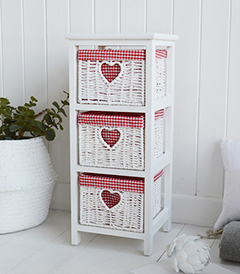 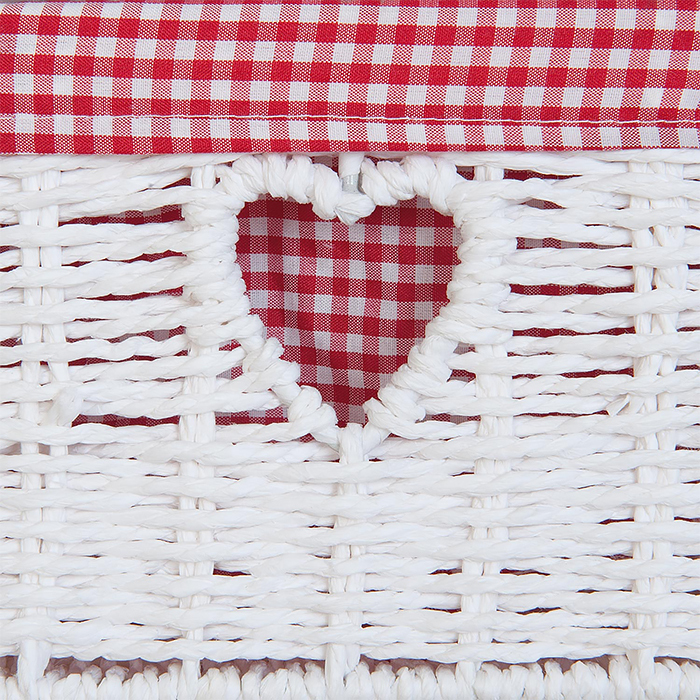 The White Cottage narrow bedside table with 3 drawers, each hand made white basket drawer is lined in removable pretty red gingham with a heart cut out handle. 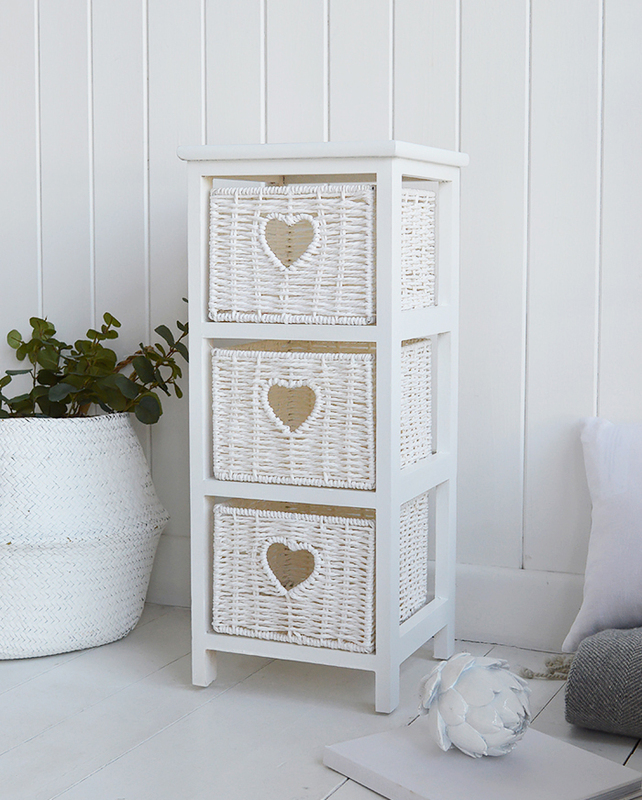 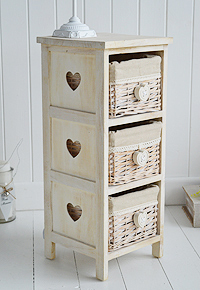 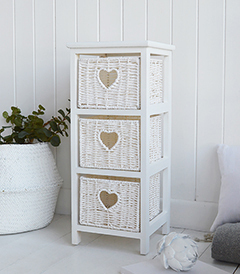 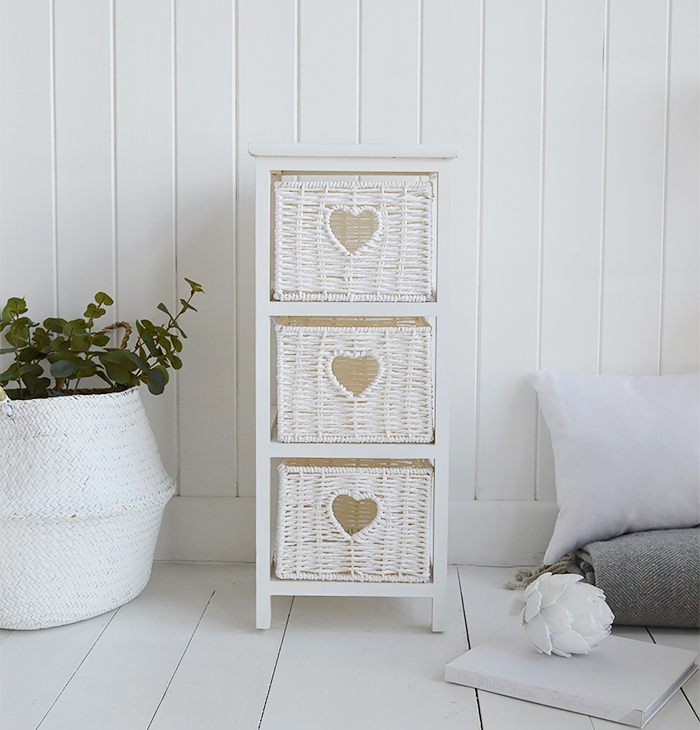 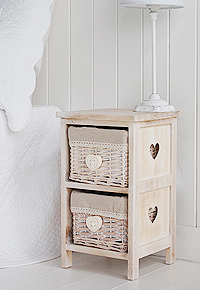 A white bedside table with three lined basket drawers giving ample space to keep bedside essentials, small items of clothes and a plaace to set a lamp. 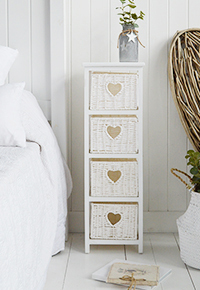 The White Cottage range of slim bedroom furniture is specially designed by our team at The White Lighthouse for those bedrooms that do not have a lot of space besdie the bed. 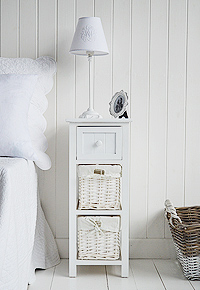 These narrow slim bedside table allow you to make your bedroom look complete by adding a pair or singly. 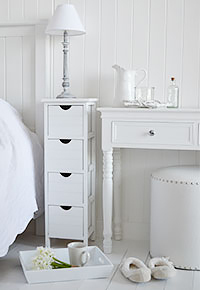 Small lamps placed on the table frame the bed giving a more sophisticated styled bedroom. 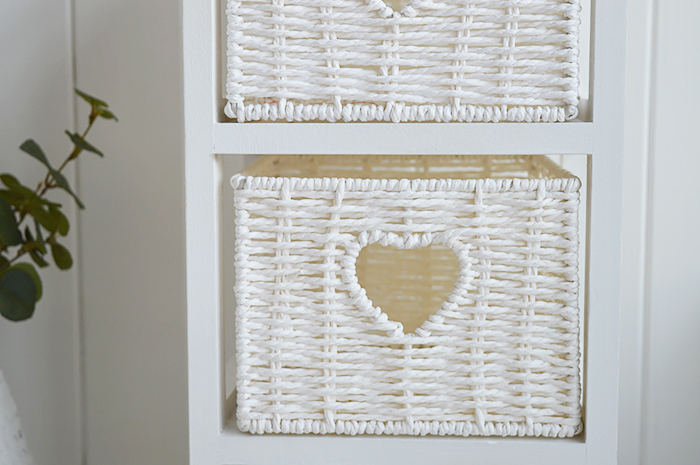 The tables are delivered assembled and can be put into place and used immediately. 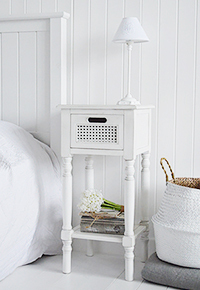 The Colonial White bedside table with drawer and shelf.